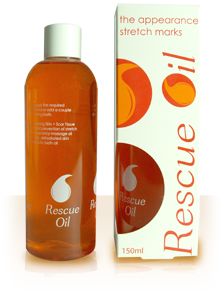 Rescue Oil Lotion is a non greasy, easily absorbed specialist blend of natural oils which soothe and improve the appearance of the skin and nails. With regular use Rescue Oil Lotion assists in restoring the skin's natural moisture balance and the rejuvenation of wrinkled, sagging skin. It is extremely effective on scar tissue, stretch marks and numerous other skin conditions. Rescue Oil Lotion is safe for all ages, during pregnancy and while lactating, it is easily absorbed. Ingredients: Aqua, Prunus Persica (Peach Kernal) Oil, Isopropyl Myristate, Prunus Amygdalus Dulcis(Sweet Almond) Oil, Oenothera Biennis (Evening Primrose) Oil, Polysorbate-20, PEG-40 Hydrogenated Castor Oil, Phenoxyethanol, Ethylhexylglycerin, Acrylates/Acrylamide Copolymer Mineral Oil, Polysorbate-85, Parfum, Tocopheryl Acetate, Disodium EDTA, CI 47000, CI 26100. Rescue Oil Lotion has not been tested on animals.